We're ready to take orders for 2013! We're giving returning customers two weeks to get their orders in and then we'll go down our list of interested customers and reach out to new customers. We've had a few changes in our life, having a baby and moving more full time Alaska, and are making changes in our business to reflect those changes. 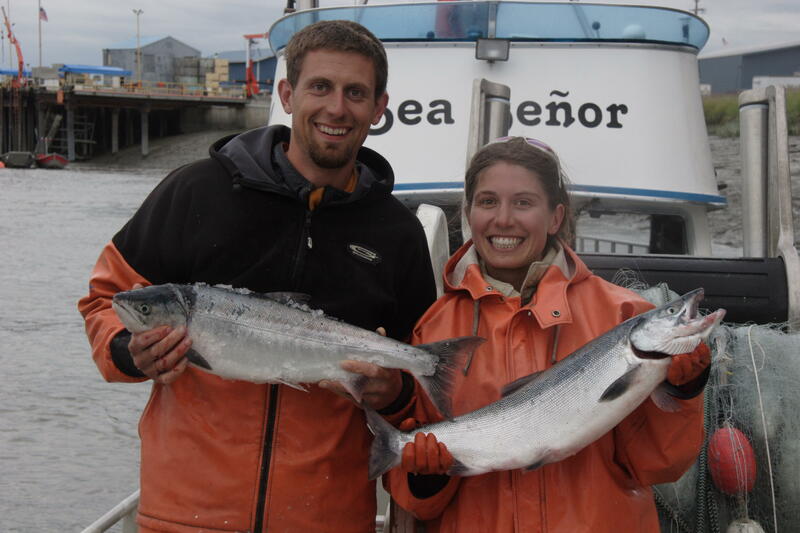 This year we will only offer Scrumptious Salmon Shares two ways: shipped directly to you or picked up in Homer. (Sorry Methow and Anchorage!). Price estimate for 2013: $15.20/lb for a 25 pound Scrumptious Sockeye Salmon Share shipped directly to you or $13.90/lb for a 50 pound share. $8.75/lb for a Scrumptious Sockeye Salmon Share picked up in Homer. (The small price increase is because we expect the dock price of fish to go up a little this year. We'll make any adjustments up or down once the fish are caught to offer the most fair and affordable price we can.) For more information, read all the details about our Salmon Shares and how to place an Order. Hi Meg, I’ll shoot you an email. thanks grant, i’ll shoot you an email. oops, I don’t seem to have access to your email. it should work fine to type emily@smallscalesseafoods.com into a new email composition, if not, please send me your email address and i’ll respond. thanks!